In the summer (ha!) Of 2012, LG and I holidayed up in Gisborne. We had a fun, if damp, time. If you ever visit the G, make sure you check out the Rere Falls rockslide. Bring a boogie board and wear rock shoes…sliding down the smooth plate of rock is a blast! 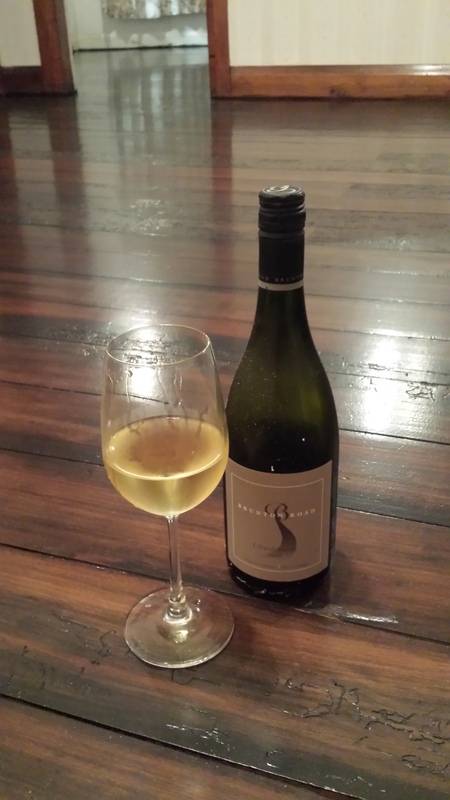 One day I visited the Gisborne Wine Centre for a tasting and picked this bottle out amongst others for the Pool Room. And for when we have finishing staining and clearcoating our wooden floors…! This entry was tagged $$$, 13%, 2009, 4, Brunton Road, Chardonnay, Gisborne. Bookmark the permalink.